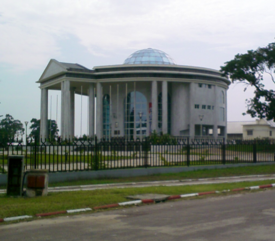 The Republic of the Congo, also known as Congo-Brazzaville or the Congo, is a presidential republic. It is a former French colony of western-central Africa. It borders Gabon, Cameroon, Central African Republic, Democratic Republic of the Congo, Angola and the Gulf of Guinea. Upon independence in 1960, it became the Republic of the Congo. A quarter century of Marxism was abandoned in 1990 and a democratically elected government installed in 1992. After a brief civil war in 1997 between factions, former Marxist President Denis Sassou Nguesso was restored to power. Petroleum extraction from offshore reserves has supplanted forestry as the mainstay of the economy, which has been boosted by the recovery of oil prices. Economic reform efforts continue with the support of Sassou Nguesso, who has expressed support for economic reforms and privatization and in renewing cooperation with international financial institutions. His administration presides over an uneasy peace and faces difficult economic problems of stimulating recovery and reducing poverty. Congo is located in the central-western part of sub-Saharan Africa, transected by the Equator. To the south and east of it is the Democratic Republic of Congo. It is also bounded by Gabon to the west, Cameroon and the Central African Republic to the north, and Cabinda (Angola) to the southwest. It has a short Atlantic coast. 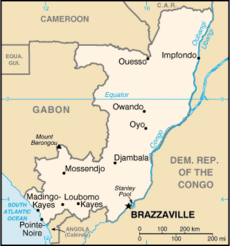 The capital, Brazzaville, is located on the Congo River, in the south of the country, immediately across from Kinshasa, the capital of the Democratic Republic of Congo. The southwest of the country is a coastal plain for which the primary drainage is the Kouilou-Niari River; the interior of the country consists of a central plateau between two basins to the south and north. Since the country is located on the Equator, the climate is consistent year-round, though the rainy season is from October to May. The average daytime temperature is a humid 75 degrees F (24 degrees C), with nights generally in the 60s F (16-21 C). The earliest inhabitants of the area were Pygmy peoples. They were largely replaced and absorbed by Bantu tribes during Bantu expansions. The Bakongo are comprised of Bantu groups that also occupied parts of present-day Angola, Gabon, and Democratic Republic of Congo, forming the basis for ethnic affinities and rivalries among those states. Several Bantu kingdoms—notably those of the Kongo, the Loango, and the Teke—built trade links leading into the Congo River basin. 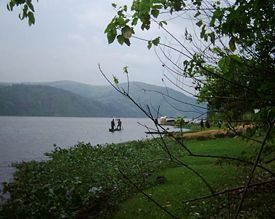 The mouth of the Congo River was the base for the Kongo Kingdom, which encountered the Portuguese in 1484. Trading contracts gave the Congolese textiles, jewelry, and manufactured goods in return for ivory, copper, and slaves. The coastal area was a major source for the transatlantic slave trade. Western education and Christianity were introduced into the region at that time. The Portuguese did not venture into the interior but bought goods and slaves captured in the interior through African brokers on the coast. When the slave trade diminished because of depopulation, the Portuguese bought slaves from other tribes. Fighting between the tribes weakened them, including the Kongo. This increased the power of the Europeans and strengthened the slave trade. This situation continued until the European powers outlawed slavery in the early 1800s. The Teke Kingdom of the interior signed a treaty with the French in 1883 that gave the French land in return for protection. On the land Pierre Savorgnan de Brazza secured on the north side of Stanley Pool he established a settlement now known as Brazzaville. He governed the area from 1886 to 1897. The companies that were granted concessions in Congo abused their African workers to the extent that reports reached France, which eventually restricted the use of forced labor. 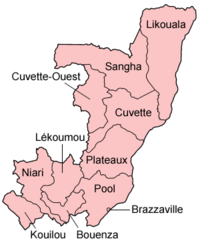 In 1910, four colonies were brought together administratively as French Equatorial Africa, with Brazzaville as the capital. After World War II, there was an upsurge of nationalism. France, weakened by its wars in Indochina and Algeria, did not resist but granted internal autonomy to its African colonies. Congo became an autonomous republic within the Franco-African Community in 1958. Following independence as the Congo Republic on August 15, 1960, Fulbert Youlou, a Catholic priest who had been instrumental in the steps to independence, became the first president until labor elements and rival political parties instigated a three-day uprising that ousted him. The Congolese military took charge of the country briefly and installed a civilian provisional government headed by Alphonse Massamba-Débat, who drew his inspiration from French Marxism. Under the 1963 constitution, Massamba-Débat was elected president for a five-year term, though with only one party participating. His term ended abruptly in 1968 with a coup d'état. Capt. Marien Ngouabi assumed the presidency but continued his predecessor's socialist policies, proclaiming Congo to be Africa's first "people's republic." In 1977, Ngouabi was assassinated. Col. Joachim Yhombi-Opango replaced him as president and then Col. Denis Sassou-Nguesso was selected in 1979. He moderated Congo's extremism and and established better relations with Western nations. With the collapse of the Soviet Union, Congo completed a transition to multiparty democracy with elections in August 1992. Denis Sassou Nguesso conceded defeat and Congo's new president, Prof. Pascal Lissouba, was inaugurated on August 31, 1992. Congo's democratic progress was derailed in 1997. As presidential elections scheduled for July 1997 approached, tensions between the Lissouba and Sassou camps mounted. On June 5, President Lissouba's government forces surrounded Sassou's compound in Brazzaville and Sassou ordered members of his private militia (known as "Cobras") to resist. Thus began a four-month conflict that destroyed or damaged much of Brazzaville and caused tens of thousands of civilian deaths. In early October, Angolan troops invaded Congo on the side of Sassou and, in mid-October, the Lissouba government fell. Soon thereafter, Sassou declared himself president. The Congo Civil War continued for another year and a half until a peace deal was struck between the various factions in December 1999. Elections in 2002 saw Sassou win with almost 90 percent of the vote cast. His two main rivals, Lissouba and Bernard Kolelas, were prevented from competing and the only remaining credible rival, Andre Milongo, advised his supporters to boycott the elections and then withdrew from the race. A new constitution, agreed upon by referendum in January 2002, granted the president new powers and also extended his term to seven years as well as introduced a new bicameral assembly. International observers took issue with the organization of the presidential election as well as the constitutional referendum, both of which were reminiscent in their organization of Congo's era of a single-party state. A period of continued fighting ended with an agreement for disarmament, demobilization and reintegration of the rebel militias. The process moved slowly, with both sides full of distrust. Nevertheless, legislative elections were held in June 2007. There were widespread chaos and malpractices during the voting on June 24, 2007, to choose 137 deputies for the National Assembly, according to international observers from the African Union and Economic Community of Central African States. Polling stations opened late and voter registers and ballot papers were not available in many polling stations, the observers said. Congolese women were thwarted in their ambition to improve their showing, with only one woman being elected. The Center for the Promotion of Women in Politics had worked hard to raise the profile of its women candidates. Even though the status of women has improved in Congo, there are few women in top positions. In the two chambers in parliament, with 188 seats, there are only 20 women. Poverty is one obstacle, with most women lacking access to education, health care and good salaries. Congo, as in other African countries, has more women than men, with more than 70 percent living below the poverty line. According to the U.S. State Department, the government's human rights record remains poor; although there were some improvements in 2006, serious problems remained. The following serious human rights problems were reported: mob violence, including killing of suspected criminals; security force beatings, physical abuse of detainees, rapes, looting, solicitation of bribes, and theft; harassment and extortion of civilians by uncontrolled and unidentified armed elements; poor prison conditions; impunity; arbitrary arrest; lengthy pretrial detention; a corrupt and ineffective judiciary; infringement on citizens' privacy rights; limits on freedom of the press; restrictions on freedom of movement; official corruption and lack of transparency; domestic violence and societal discrimination against women; trafficking in persons; discrimination on the basis of ethnicity, particularly against Pygmies; and child labor. The regions are subdivided into 46 districts. Petroleum extraction from offshore reserves has supplanted forestry as the mainstay of the economy, providing 95 percent of export earnings. In 2005, Congo was the sixth largest oil producer in sub-Saharan Africa (after Nigeria, Angola, Sudan, Equatorial Guinea, and Gabon). In the early 1980s, rapidly rising oil revenues enabled the government to finance large-scale development projects with GDP growth averaging 5 percent annually, one of the highest rates in Africa. The government has mortgaged a substantial portion of its petroleum earnings, contributing to a shortage of revenues. Recovery of oil prices has boosted the economy's GDP and near-term prospects. The Chinese are granting loans to be paid back in oil. For example, they are largely financing a hydroelectric dam at Imboulou that is expected to be completed in 2009. Economic reform efforts continue with the support of international organizations, notably the World Bank and the International Monetary Fund. The reform program came to a halt in June 1997 when civil war erupted. When Sassou Nguesso returned to power at the war's end in October 1997, he publicly expressed interest in moving forward on economic reforms and privatization and in renewing cooperation with international financial institutions. The current administration presides over an uneasy internal peace and faces difficult economic problems of stimulating recovery and reducing poverty, despite record-high oil prices since 2003. Natural gas and diamonds are also recent major Congolese exports, although Congo was excluded from the Kimberley Process in 2004 amid allegations that most of its diamond exports were in fact being smuggled out of the neighboring Democratic Republic of Congo. In addition to petroleum extraction, cement kilning, forestry, brewing, sugar milling, palm oil, soap, and cigarette making also are major industries. The most important agricultural products are lumber, sugar, cocoa, and coffee. Under communist rule, the government was the owner of all commercial property. After the civil war, privatization was decreed. Almost 90 percent of homes are now owned by individuals or families. The largest export partner is the United States, followed by Belgium, Luxembourg, Taiwan, and China. Imported items include manufactured goods, capital equipment, petroleum products, construction materials, and food. These items are imported from France, Italy, the United States, and the United Kingdom. 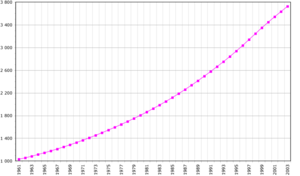 Population of the Republic of the Congo (FAO, 2005; number of inhabitants given in thousands. The Republic of the Congo's sparse population is concentrated in the southwestern portion of the country, leaving the vast areas of tropical jungle in the north virtually uninhabited. Thus, Congo is one of the most urbanized countries in Africa, with 85 percent of its total population living in a few urban areas, namely Brazzaville, Pointe-Noire, or one of the small cities or villages lining the 332-mile railway that connects the two cities. In rural areas, industrial and commercial activity has declined rapidly in recent years, leaving rural economies dependent on the government for support and subsistence. Before the 1997 war, about 15,000 Europeans and other non-Africans lived in Congo, most of whom were French. Presently, only about 9,500 remain. Nevertheless, the official language is French, used in governmental activities. Lingala and Monokutuba are commonly spoken trade languages. Over 60 local languages and dialects are spoken, the most widely used of which are Kikongo, Sangha, and Bateke. A talking drum language developed in the villages as a form of long-distance communication. Specific beats are broadcast for marriages, deaths, births, and other information. There are 15 main ethnic groups and 75 subgroups. The largest ethnic groups are the Bakongo (48 percent of the population), the Sangha (20 percent), the Teke (17 percent), and the M'Bochi (12 percent). The Teke group suffers from widespread discrimination from all the other ethnic groups in Central Africa because they are unorganized forest dwellers with little political power. There is no official state religion; the Fundamental Act mandates freedom of religion. About 50 percent of the people are Christians, while another 48 percent adhere to native religions. The remaining 2 percent are Muslims. Varying combinations of Christianity and animism have developed. In some rural areas, Christian missionaries have had little success in converting the forest dwellers. Before the coming of Christianity, all the native religions were animist. The monotheistic religion of Nzambi is widely practiced among the Bakongo. In this tradition, Nzambi created the world after a great sickness, vomiting first the sun, then the stars, animals, and people. After the creation, he went to live with the ancestral spirits. It is believed that family members join the ancestral world after death to protect the living. In cases of wrongful or violent death, they roam until retribution has occurred. Medicine and religion are often indistinguishable in the native religions. Under communism, urban and educated people had jobs and could make more money than rural people, who had a lifestyle closer to that of the ethnic tribes. Discrimination against the pygmies, known as Teke, Aka, or forest dwellers, is widespread. They are turned away from hospitals, receive lower pay, and are not represented in the government. The literacy rate for the total population is 83.8 percent (male 89.6 percent and female 78.4 percent by 2003 estimates). Because of communism and local social customs, few people have accumulated personal wealth. Women are underrepresented in politics and the higher levels of the government. In rural areas, women are often discouraged from attaining paid employment and secondary education. They are instead encouraged to focus on family and child-rearing activities. This gives them limited power in social dealings with men, who typically are better educated and have more money. Nongovernmental organizations have started initiatives to improve the status of women. An estimated 900 women die in pregnancy or childbirth per 100,000 live births, according to UN data. Richard Dackam Ngatchou, Congo Representative for the UN Population Fund (UNFPA), said the maternal mortality rate "remains largely above the average African level." Traditionally, family members arranged marriages, though this is now less common, especially in the cities. Polygyny is allowed, but polyandry is illegal. Adultery is illegal only for women. A practice that dates back to ancient times is the dot, or bride price. Once a price has been set between the two families, the groom must pay it to the wife's family. The dot is often very high. The family unit includes many relatives, such as grandparents, uncles, aunts, cousins, nephews, and nieces. The infant mortality rate is high, and for this reason women tend to bear many children. The average woman bears five children, although in rural areas the number is often twice that high. Many of the ethnic groups, including the Bakongo, are matrilineal. The oldest uncle on the mother's side is considered the most important male and sometimes has more influence over a child's life than does the father. This uncle can be responsible for the child's education, employment, and marriage selection. Cousins on the mother's side are considered siblings. The family is responsible for sick, handicapped, and elderly members. Any care that is needed is distributed throughout the entire family system. The Legal Code states that 30 percent of a husband's estate must go to his widow. But very often this code is not adhered to, and a surviving wife may not get any of her husband's assets. The major holidays are Christmas, New Year's, Easter, All Saints Day, National Reconciliation Day (June 10), Tree Day (March 6), and Independence Day (August 15). Storytelling is part of the cultural tradition. Since the introduction of written language, novels, plays, and poems have become more popular. The Congolese are known for their singing. Songs fill the air during the performance of chores. Rumba and other forms of music are played with native and Western instruments. ↑ Department of Economic and Social Affairs Population Division (2009). World Population Prospects, Table A.1. Retrieved November 7, 2011. ↑ 2.0 2.1 2.2 2.3 Republic of the Congo. International Monetary Fund. Retrieved November 7, 2011. Countries and Their Cultures. Culture of Republic of Congo. Retrieved July 25, 2007. World Factbook. Congo, Republic of the. Reading Women Writers and African Literatures. Republic of the Congo (Brazzaville). History of "Republic of the Congo"
This page was last modified on 9 July 2015, at 17:07.